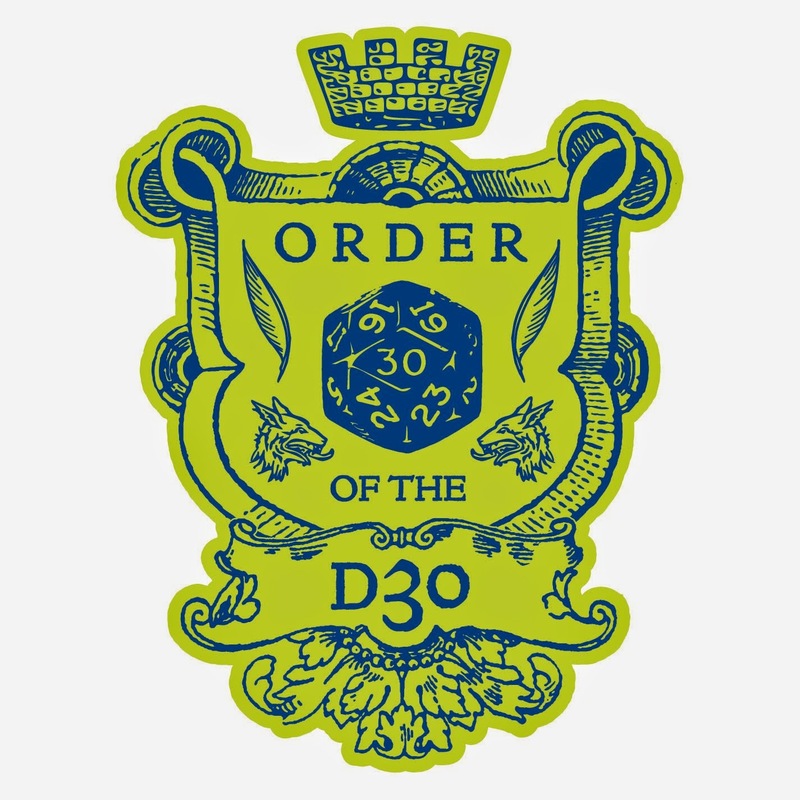 In our regular gaming group, I recently finished up running a year-plus-long campaign that started with Vault of the Faceless Giants and culminated with The Jah'nu Prophecy (the latter of which is intended to be my Friday night game at this year's NTRPGCon. So the group started a new campaign, and I chose to play a gnome thief (because I've never played a gnome before, and the GM wasn't explicitly forbidden as it has by some GMs in the past). 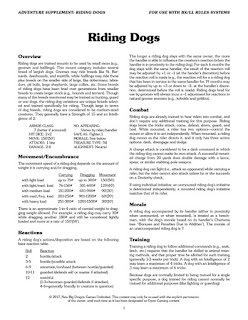 Instead of considering a horse or mule, I decided I wanted a riding dog. 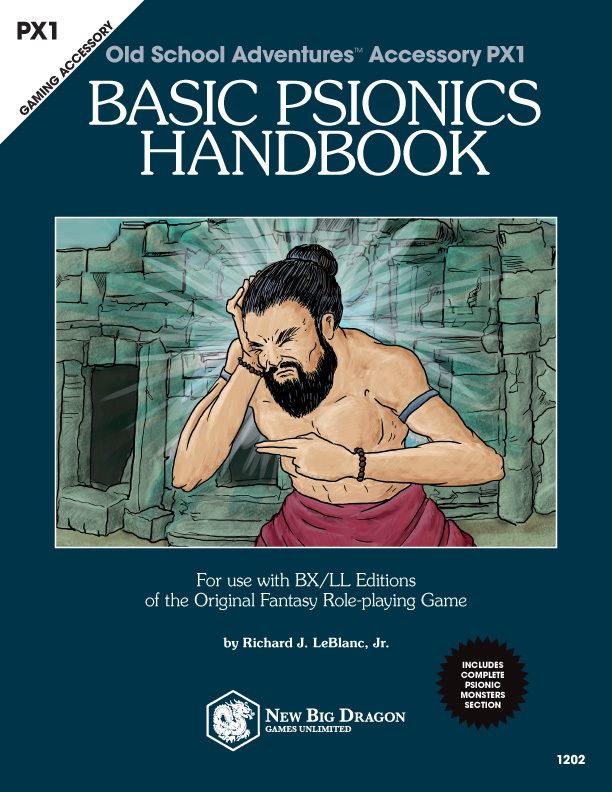 And though they seem to be a thing, I couldn't find any older edition rules for them. 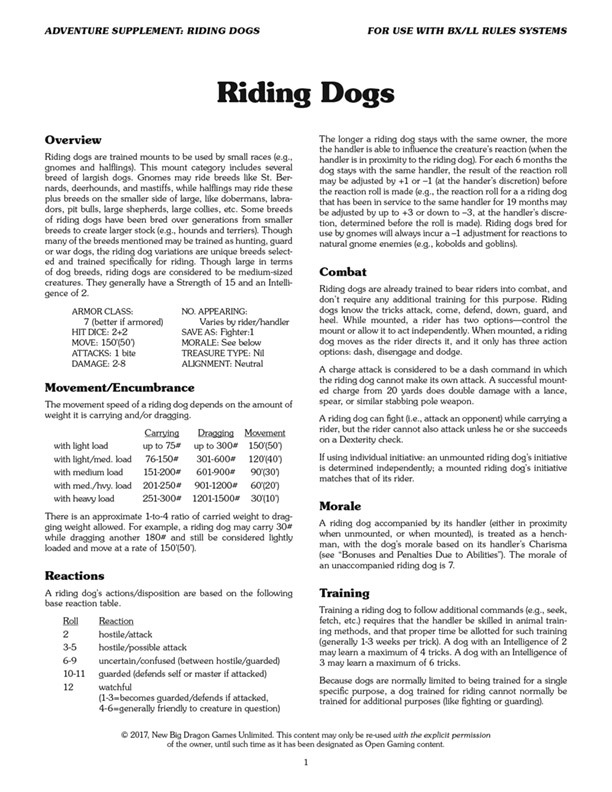 So I wrote my own, based on B/X stats and SRD material, woven in with thoughts from some old Dragon magazine articles. The campaign is AD&D, but except for the movement rates, it's pretty adaptable from B/X to AD&D (and to OD&D or S&W, I'd imagine). Here it is for your use and enjoyment. And if you need some gnomes for your B/X game, don't forget to download CX1 Extra Gnomes from RPGNow. 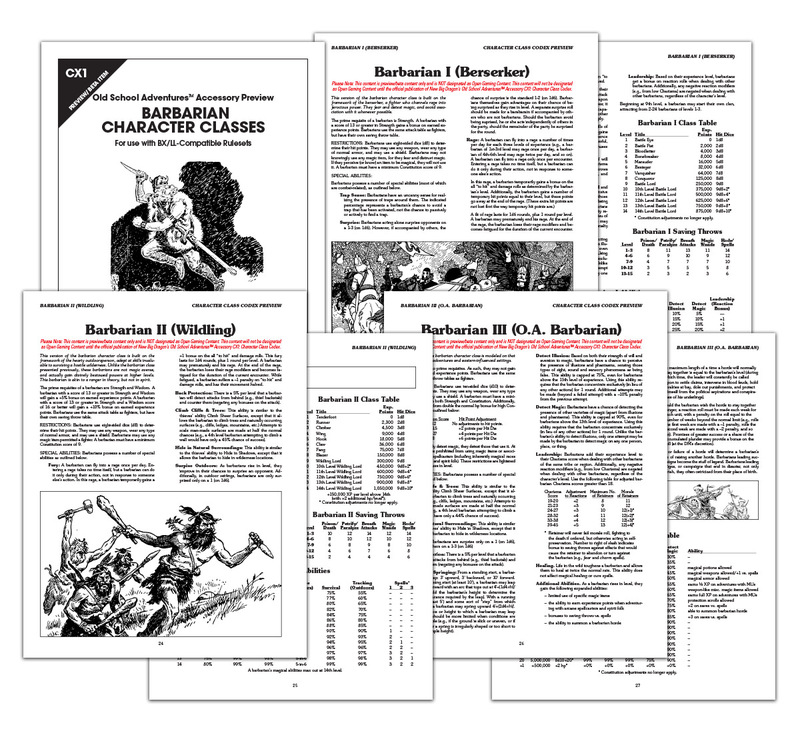 This PDF has the following three classes: a "berskerker" barbarian, a "wildling" barbarian (with survival skills, tracking abilities and the like), and a "horde" barbarian (adapted from the 1e Oriental Adventures barbarian).